It was heartbreak for Jordan Henderson and England, but delight for Dejan Lovren and Croatia as the Vatreni beat the Three Lions to advance to a final showdown against France. Henderson played 97 minutes of this game before being replaced by Eric Dier. 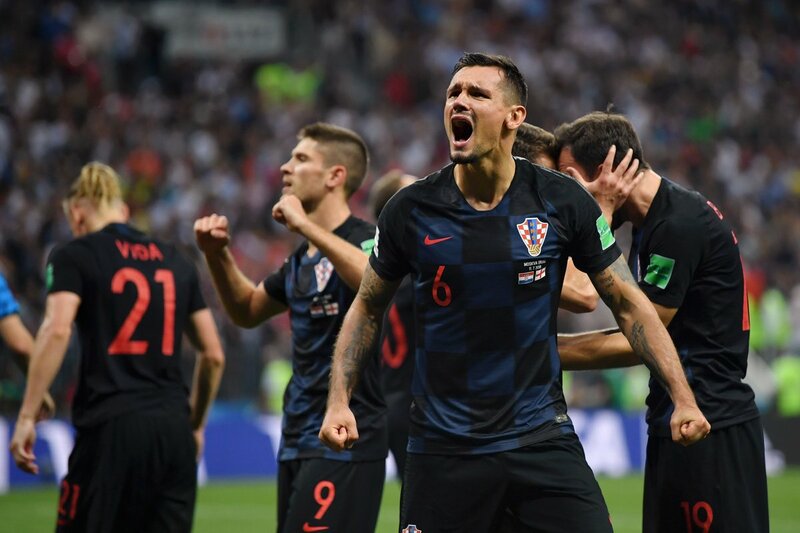 Lovren played the full 120 minutes as Croatia reached the final- his second major final this year after the Champions League with Liverpool. Trent Alexander Arnold was an unused substitute. Liverpool’s Simon Mignolet was also an unused sub as Belgium lost 1-0 in their World Cup semifinal to France. This entry was posted in News and tagged Dejan Lovren, Jordan Henderson on July 12, 2018 by lzozo.